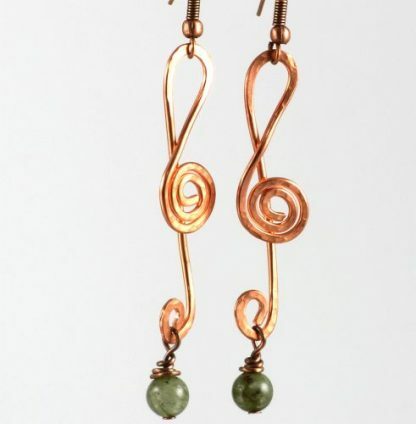 If you are a musician or like music, you will love these Copper Musical Earrings! They were designed by hand shaping and hammering copper wire into a treble clef, then adding a couple dangling iridescent Labradorite 6 mm round beads to make them more fun. 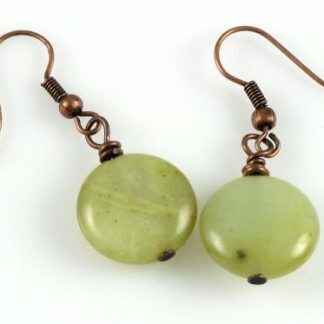 Hooks are also copper. 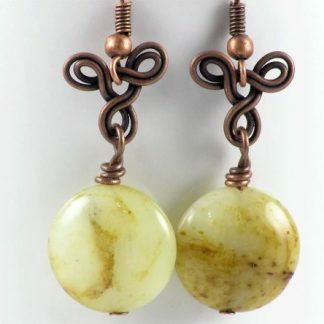 Total length of earrings is 2-3/4 inches. Copper is a malleable metal with a cubic crystalline structure that reflects red and orange light and absorbs other frequencies in the visible spectrum, with beautiful reddish hues. It is a well known electrical and heat conductor, so it will promote the energy flow in your whole body. 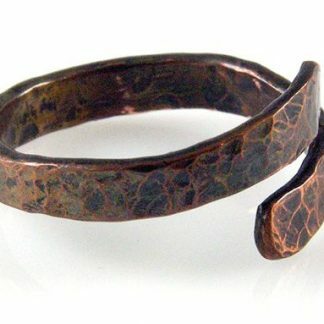 Copper is known to help with arthritis and other ailments.